This northern Colombian adventure hits many of the highlights. 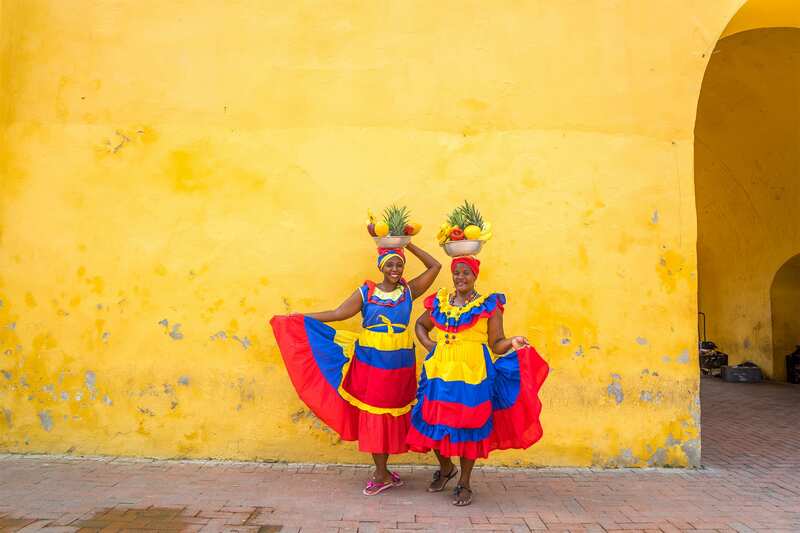 Enjoy blissful tropical beaches, rainforest, Sierra Nevada mountains reaching 5,77m of altitude, coral islands, colonial city of Cartagena, Indigenous people – Wiwas and Koguis from the Lost City. See something you dont like or want to change? You can choose the duration and type of trip that best suites you: summit hikes, cultural communities, charming hotels, rafting, beach, diving... Let us design the perfect trip for you. In the morning take part in a private tour in the streets of the walled city. 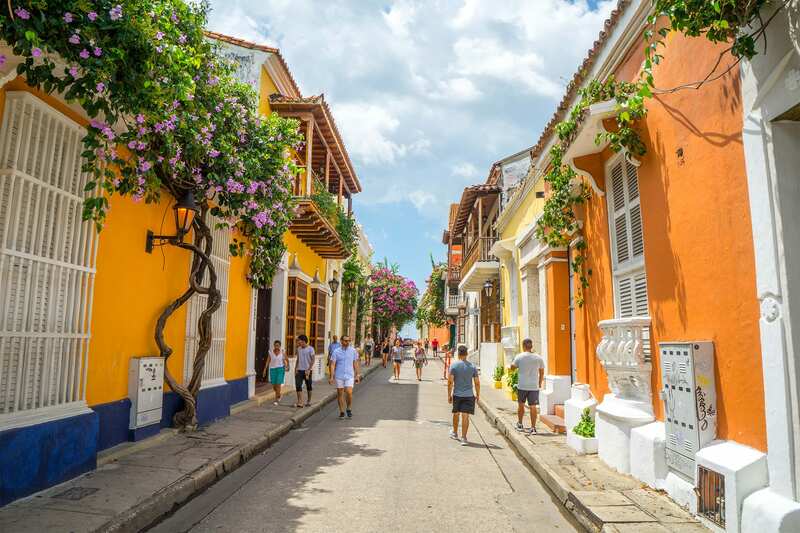 This tour meanders through the beautiful city of Cartagena and will bring you back to colonial times, amidst colorful houses and lively squares. 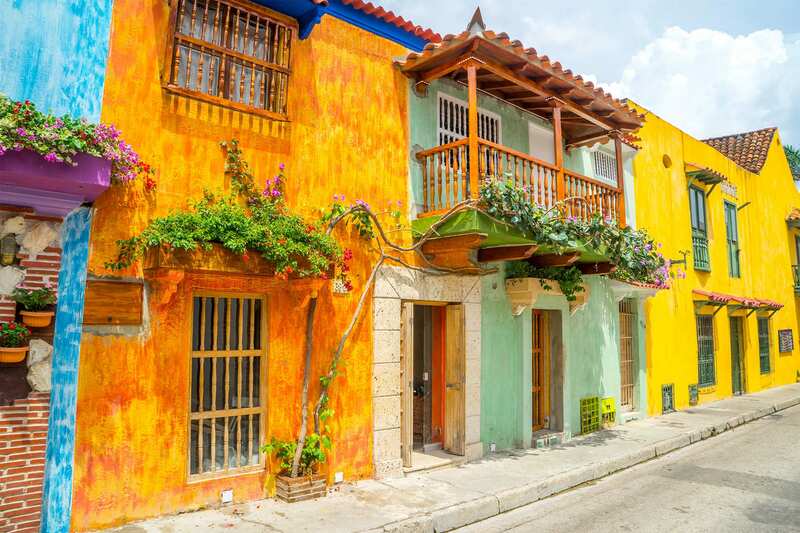 Enjoy walking through the colonial neighborhoods of San Diego as well as Santo Domingo. In the afternoon, our guide will bring you to the San Felipe Castle that represents the main work of Spanish military engineering during colonization. Here you will embark on a historical and cultural visit of the site and a panoramic view of the Manga quarter. Spend the day on a Caribbean Island. The Rosario Islands are an archipelago located within a national park on the Colombian Caribbean coast, only about an hour from Cartagena. The tour leaves from the Marina Santa Cruz harbor (Manga) at 8:30am. Once you arrive to the island, you will be welcomed with a cocktail and have free time to enjoy the beach and common areas of the hotel. You will also have the opportunity to enjoy other activities such as eco- walks, kayaking in the mangroves, biking, diving, massages, and a visit to the “Laguna Encantada”. You will be back to Cartagena around 4pm. Departure at 7:30am from your hotel with transportation to La Boquilla. Arrival to the fishing village where an Afro-Cartageans community lives. Here you will learn how to fish first hand from the local people: how to catch crabs and how to throw nets. Then you will discover the secrets of coastal cuisine and learn how to cook fish and crabs with coconut rice. Free time to relax and enjoy the beach. Return to Cartagena at 1:30pm. 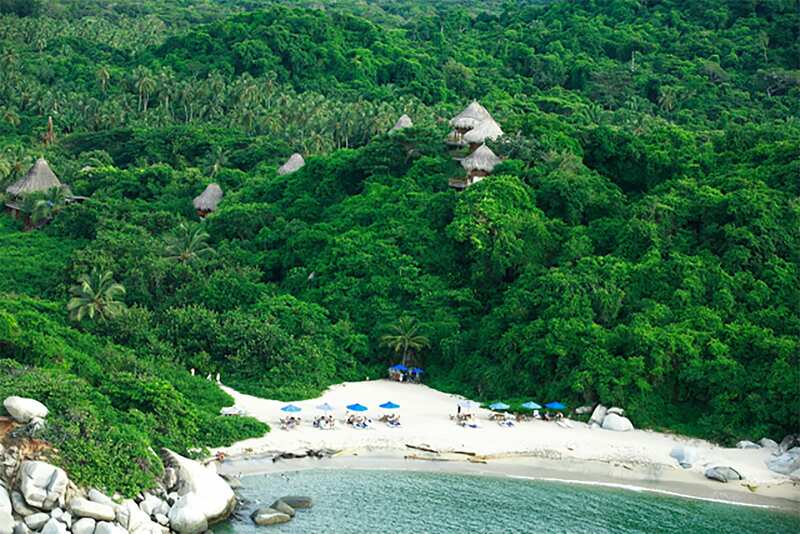 You will be transported for a day of hiking in the Tayrona National Park. 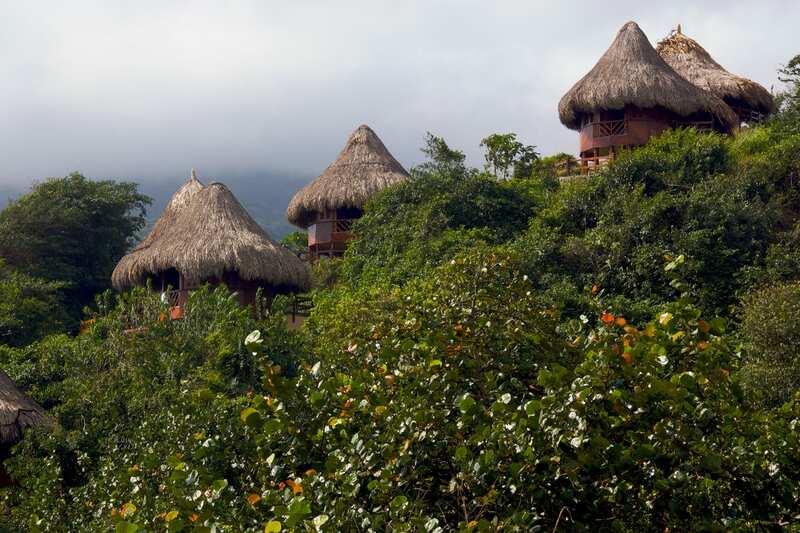 Enter the tropical forest and hike to the archaeological site of Pueblito on the footsteps of the ancient Tayrona civilization. Walk and swim on the magnificent beaches of Cabo San Juan, la Piscina and Arrecifes. Here we will enjoy lunch on the beach. On the way, observe the local fauna and flora of this beautiful park. Transfer to your hotel in the late afternoon. 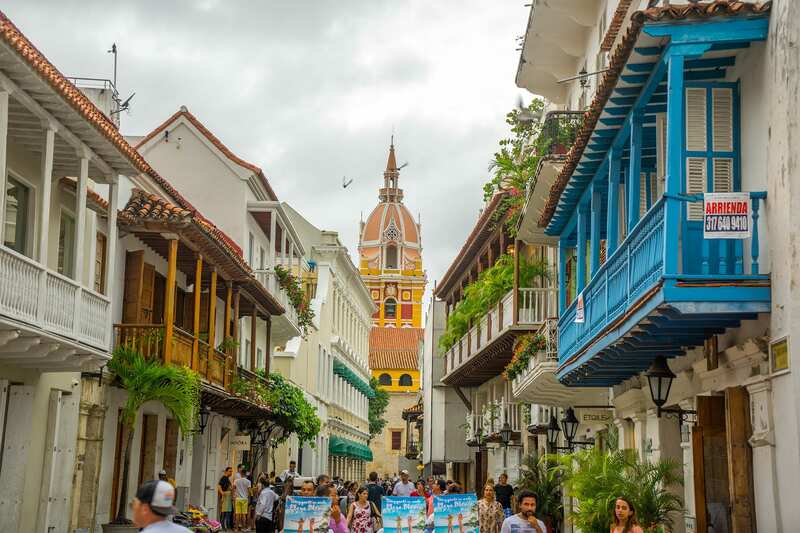 In the morning you will have time to enjoy the hotel and its surroundings and then transfer to the city of Santa Marta with free time to discover the city center. Departure in the morning at 6am from your hotel to discover the amazing sites of the Sierra Nevada. We will drive via Cienaga for about 30 minutes before arriving to the passion fruit farm located at 850m. Here our guide will show you the different existing varieties of passionfruit and he will explain about their culture. 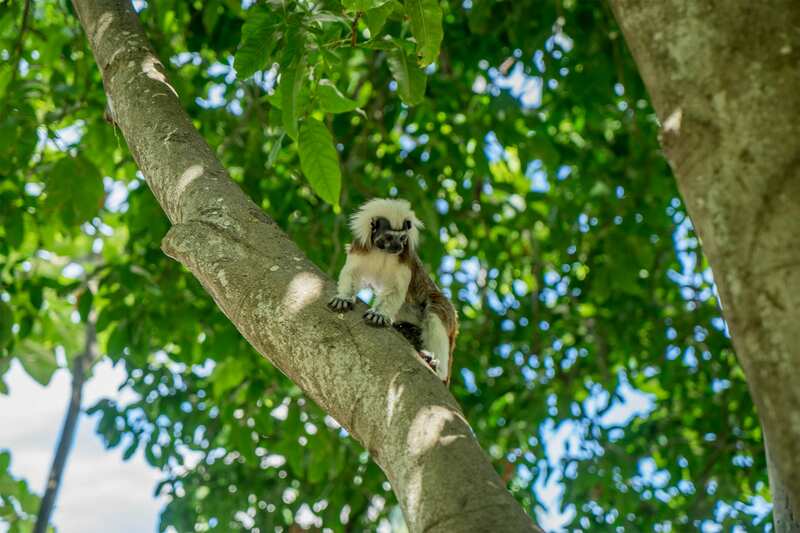 An early departure has the advantage to allow us better bird watching (eagle, parrots and several colorful-bird species) and the observation of other animals like monkeys living in the area. Furthermore, the few inhabitants of this land are living off the local products. You will find along the way cocoa, mango, lemon, mamón, mandarin, banana etc. All these fruits are possible thanks to the two rivers coming from the mountain that you will cross several times. Arriving to our destination you will be offered a full breakfast, and have time to rest and enjoy this quiet and relaxing place. Later on, the guide will accompany you to the big waterfall Jolonura where you can cool off and swim. A small climbing session is also possible if you want to get closer to the water. Continue on to discover a second waterfall, smaller but just as beautiful as the first on. Here will will relax again and enjoy lunch. Around 2:30pm we begin to make our way back. Taking time to enjoy a break at the natural pool called “Pozo del Bautizo” where in the past locals baptized the indigenous children. Remember to keep your eyes open! The fauna and flora are everywhere to surprise you and amaze you. This tour is unique, as you are among the first to discover this area. 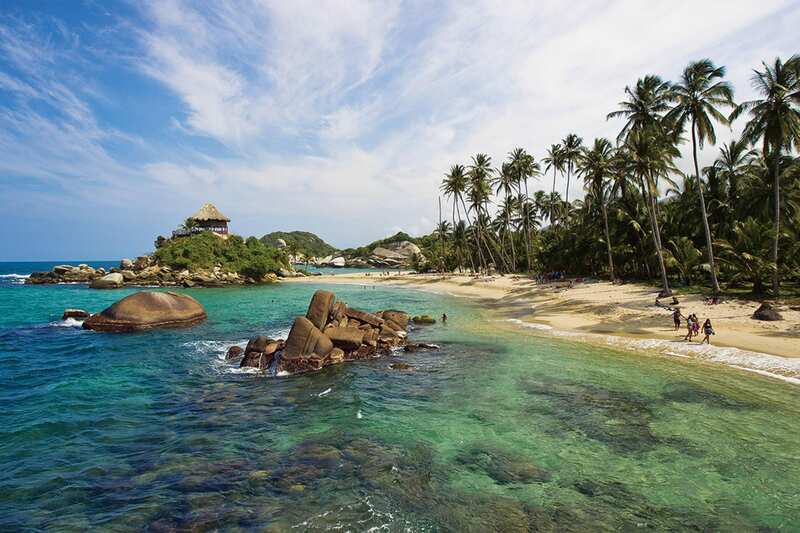 Depart Santa Marta around 8am to join Taganga and then Bahia Gairaca in the National Park Tayrona. Here you can enjoy snorkeling (or diving) and walk around to observe the beauty of the nature around you. Soak in the tranquility, as this area is rarely visited by tourists. Transport from/to Taganga by boat. Our morning begins around 9am in Santa Marta where a 4×4 will take us to the Mamey’s sector (Machete Pelao) where we will enjoy lunch and a break. Afterwards, we will start our trek of 7.6 km to the first camp (Adam’s hut, rural community), where we will spend the night. Along the way we will make a stop at a crystal clear river to enjoy a refreshing dip. At night, the guide explain the history and customs of this community and teach us some phrases in Dumana (the local language). Today, we have a full 8 hours of hiking. Along the way you will visit the Mutanzhi indigenous community and you will be able to interact with its settlers. 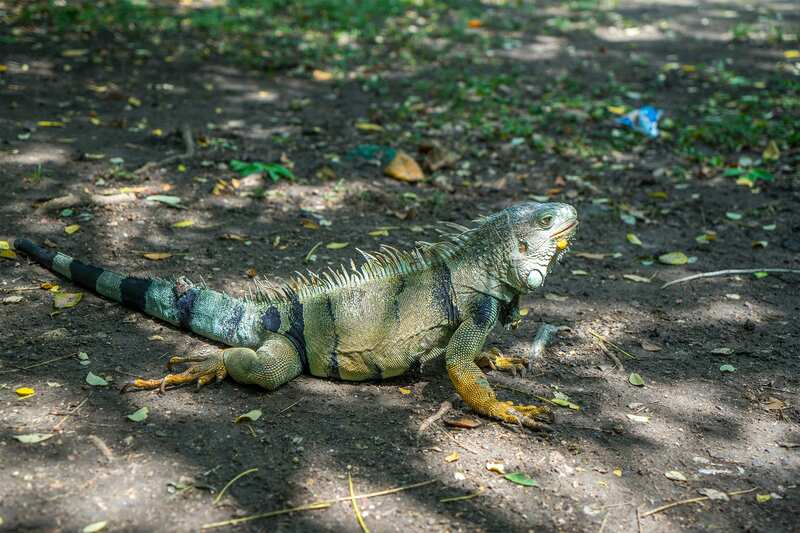 You will see a variety of the flora and fauna and many local plants that can only be found in the Sierra Nevada of Santa Marta. In the afternoon, we will take a break and enjoy a swim in the river and relax. 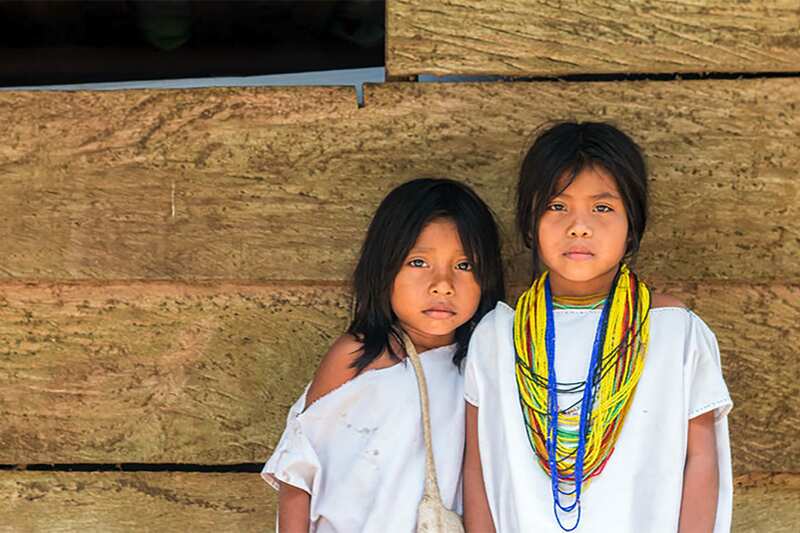 Continuing on, you will arrive to the third hut (Paraíso Teyuna hut, indigenous community). It is located at 830 meters and at the foot of Teizhuna (teyuna), Tayronas sacred city. In the evening, our guide explain more about the Lost City and its sacred meaning for the indigenous people of the Sierra. After filling up on breakfast, we will leave at 7am headed towards the Lost City. 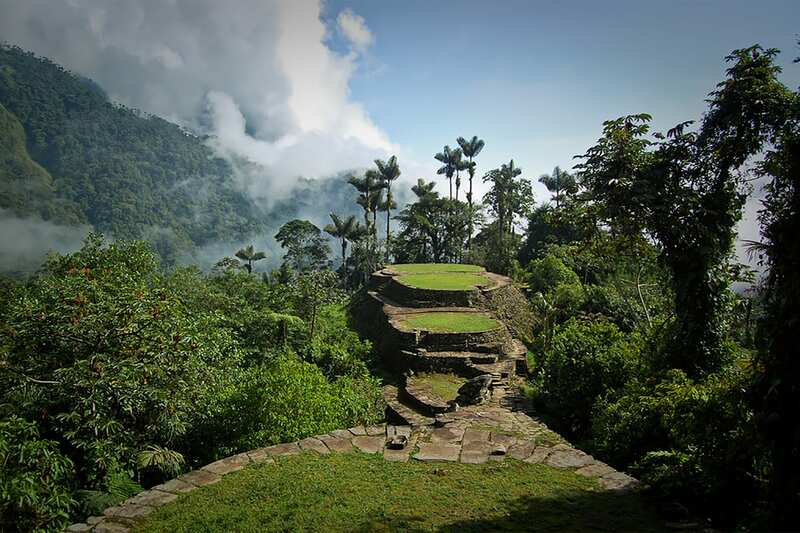 To get to the sacred city we will climb over 1200 steps, built by the ancient Tayronas. After approximately an hour, we will arrive to the city and enjoy a tour through the several sacred places in that area. Here, el Mamo (spiritual indigenous leader) will narrate sacred stories and offer up wise advice. At 11am we will return to the third hut to have lunch. Afterwards, we will begin a 5 to 6 hike down to the second camp (Mumake hut, indigenous community), where we will spend the night. In the morning, we make our way to El Mamey (Machete Pelao), visiting a small natural waterfall for a refreshing swim along the way. Arriving to el Mamey, where the tour concludes, we will have lunch and organize your transport back to Santa Marta or another point on the coast.